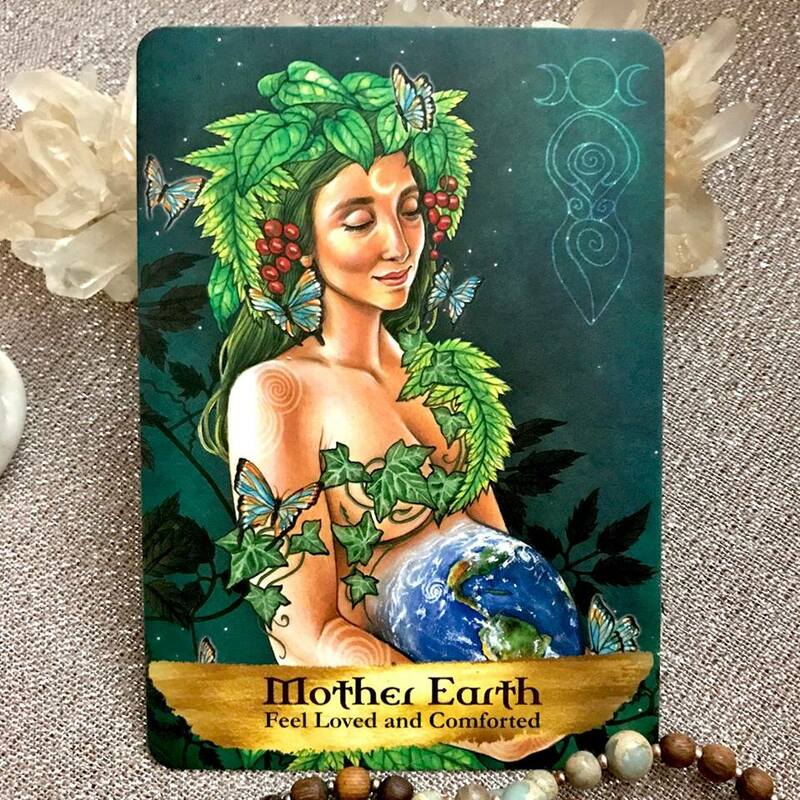 If you've been feeling heightened emotion and sensitivity recently, it's time to relax and get grounded, to connect to Mother Earth. Allow yourself to be held and nurtured, and trust that you are safe. If this is something you struggle with, place your feet on the floor and close your eyes. Imagine yourself becoming rooted - sending out a vast support network that connects you to all that you see in the physical realm. Then radiate love through those roots, and feel it coming back to you a thousandfold. It's something I've been guided to focus on myself, especially since the intensity of the recent full moon, so it was no surprise to see this card coming up today from Angels and Ancestors Deck. I wrote about the importance of 'roots' last week - find the post here if you want to check it out on my Intentional Healing UK Instagram account.